Ships tomorrow if you order in the next 23 hours 58 minutes. Keep your feline companion feeling fine with unique and natural digestive support with Feline Enteric Support from Standard Process. Offering professional supplements for your health, Standard Process also has a line of veterinary products to support the health of your pet, including cats. 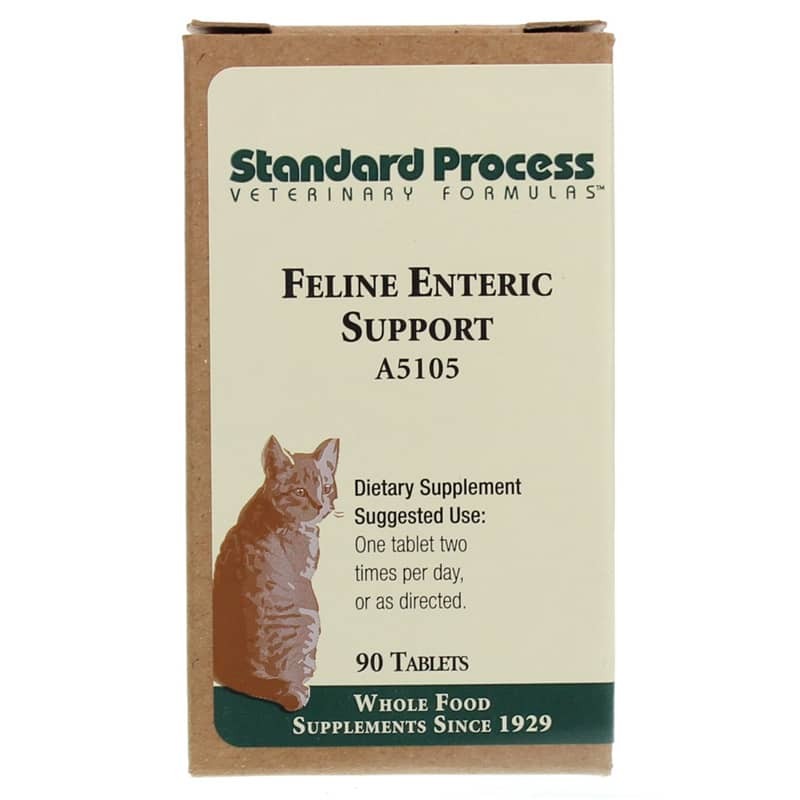 Feline Enteric Support contains a variety of functional foods, both plant and animal, to support the various components of the digestive system. It's designed to provide general support as well as support the ability of intestinal cells to function, regenerate and respond to daily metabolic and immune challenges. A healthy digestive system is key to your pet's overall health. Good digestion supports the breakdown and absorption of nutrients, and can even impact other body systems like the immune system, liver and adrenal glands. Key ingredients include natural bovine and porcine components - like stomach, liver and duodenum - as well as plant-derived ingredients like rice bran, alfalfa juice, carrot and chlorophyll extract to support multiple aspects of good digestion. Support your cat's health from the inside out. Order Feline Enteric Support. Other Ingredients: Honey and calcium stearate as tableting aids. One tablet two times per day, or as directed.